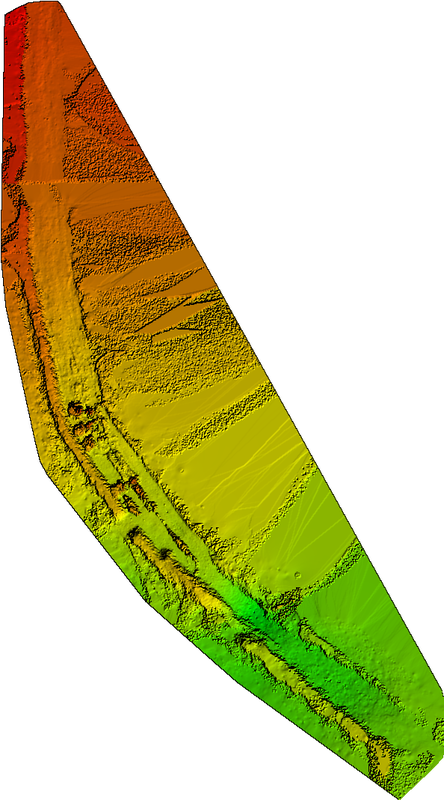 Using a Fixed Wing UAV allows much larger areas to be surveyed. An affordable solution to create extensive inventories of natural resources, verify the enforcement of environmental regulations, and assess the vigor of vegetation. Output results such as photo mosaics, DSMs, DTMs, contour lines etc. will integrate seamlessly into existing GIS software. An efficient and affordable way to map and model natural areas, parks, reserves and nature conservation areas. A pre-programmed flight can cover more than 100 acres in just 20 minutes. 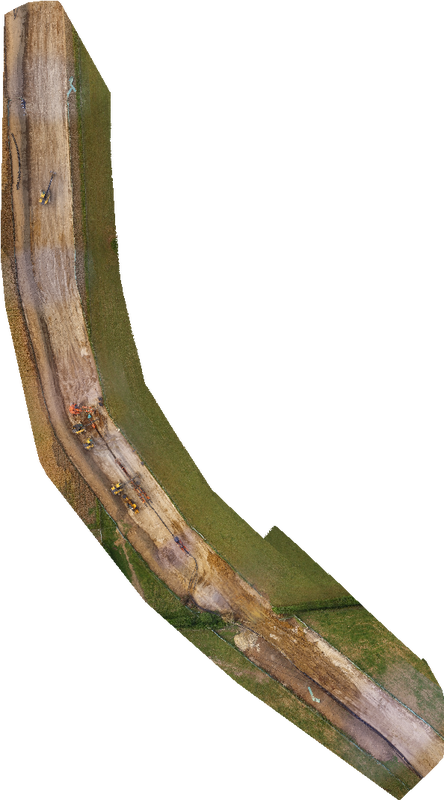 Using high resolution sensors, multiple images are acquired which are then processed using Pix4Dmapper Pro software. Flying at 400ft, 5cm ground resolution per pixel is possible creating high resolution outputs that can be used in many other software such as GIS software. Example of 3D animation possible using stills taken at 50m altitude. Section of Dugeon Cable Laying. Orthomosaic created using overhead images taken at 50m altitude. Corresponding Digital Survey Model (DSM) showing height variation along the same route.